Accepting bookings now! Near Denali National Park located in Talkeetna, Alaska. We have a 2 bedroom chalet being loaded with furniture and will be ready beginning May 1st. This beautiful chalet will sleep 8 and is a new construction home with custom woodwork and attention to detail in every corner of this fun and exciting chalet. Talkeetna has quickly become a destination vacation of choice for those who have visiting Alaska's untouched beauty on their bucket list. With countless miles of hiking and biking trails, fishing, hunting, river excursions, flights around Mt. Mckinley in Denali National Park, and so much more offered in this relaxed setting of a small Alaska town surrounded by natures finest work. You will not be disappointed adding this chalet to your vacation must do list! 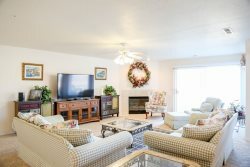 The Lofts at Green Valley are the newest addition to the beautiful properties being offered at the world renowned vacation hot spot of Green Valley, Utah. This family friendly, contemporary gorgeous Townhome is just right for your family vacation. 4 bedrooms 3.5 baths and sleeps up to 16 people in beds means there is enough room for your entire family.